In the mid-1980s, a radio program with a compelling spiritual message was accidentally received by listeners in Vietnam's remote northern highlands. The Protestant evangelical communication had been created in the Hmong language by the Far East Broadcasting Company specifically for war refugees in Laos. The Vietnamese Hmong related the content to their traditional expectation of salvation by a Hmong messiah-king who would lead them out of subjugation, and they appropriated the evangelical message for themselves. ?Today, the New Way (Kev Cai Tshiab) has some three hundred thousand followers in Vietnam. Tam T. T. Ngo reveals the complex politics of religion and ethnic relations in contemporary Vietnam and illuminates the dynamic interplay between local and global forces, socialist and postsocialist state building, cold war and post-cold war antagonisms, Hmong transnationalism, and U.S.-led evangelical expansionism. 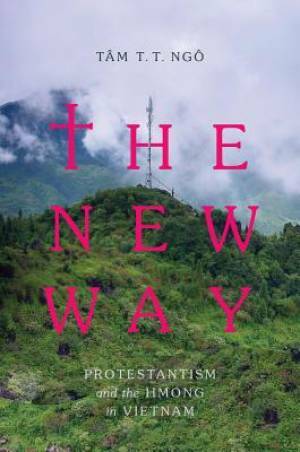 The New Way by Tam T. T. Ngo was published by University of Washington Press in July 2016. The ISBN for The New Way is 9780295998275. Be the first to review The New Way! Got a question? No problem! Just click here to ask us about The New Way.